Just a few metres far from Fontana Maggiore and Piazza IV Novembre there is the entrance to Pozzo Etrusco (Etruscan Well), an imposing construction of the fourth or third century BC which has exceptional dimensions : 37 meters deep and 5.6 meters in diameter , viable thanks to an ingenious system of stairs. >> Do you want to discover Perugia's Etruscan treasures? Check it out now of the best farmhouses in Perugia. Also called Pozzo Sorbello, from the name of the noble family that owned the palace above, the monument is an exceptional work of hydraulic engineering, datable to the second half of the third century BC which testifies to the high degree of civilization attained by Perugia population at that time. The top of the drum is covered with travertine blocks, the cover is made from two massive beams, each consisting of five monolithic blocks, which in turn support slabs of travertine. 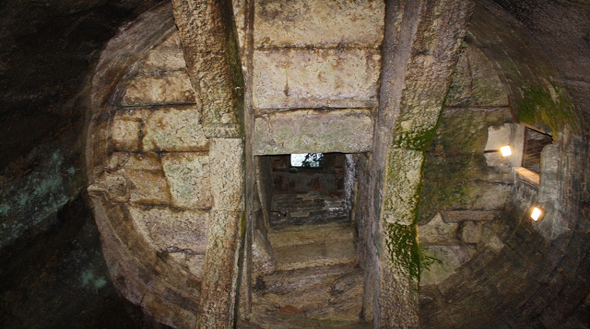 The size of the object, quite unusual compared to the normal characteristics of the Etruscan water reserves, suggests that it was conceived as a cistern. 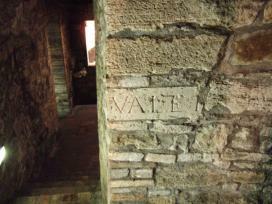 Walking through a tunnel of the Middle Ages it is possible to come into the well where water veins still flow. On the basis of the coating it is possible to read alphabetic signs, similar to those found in some carved blocks inserted in the walls of the city. If you've decided to visit Perugia and discover Etruscan treasures you should contact now farmhouses near Perugia >> click this link.